Our client is a leading designer and supplier of sophisticated retail display and merchandising equipment. With customers worldwide it has carved out a market differentiating capability, giving it a real edge in terms of speed of response, cost and quality. It is now the preferred supplier of choice to some impressive global brands. This role is a key position and will be part of a team which includes commercial and supply chain professionals focused on providing a leading edge capability for one of the World's best known brands. Managing a small team, you will be responsible for heading up development programs and delivering new product designs working closely with the customer's US and European operations. You will have overall control and coordination of the development process from first idea, brief or enquiry through to issue of production drawings on all projects from our key client. The company has a dynamic and entrepreneurial culture combined with professionalism and broad expertise in our field and you will also need to embody these capabilities and values in every aspect of your approach. We are looking for a graduate level engineering professional who has a proven background in managing product design and development projects through to completion and has worked closely with customers in a time sensitive environment. You will need to have an up to date capability in Solid Works and possess the authority, enthusiasm and organisational skills to manage a diverse team of talented in-house and freelance engineers. There will be substantial customer interface and you will need to have the credibility to present and deliver solutions. As well as engineering capabilities you will also need to have a strong commercial/marketplace understanding and a 'design for manufacturing' mentality. The role will require some international travel from time to time. The Company is based just outside the M25, but there may be some flexibility on home location. This is an exciting opportunity to be part of an impressive and growing business and to play a leading part in shaping that growth. 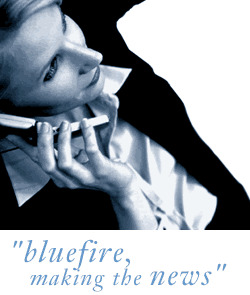 Bluefire Consulting is an equal opportunities Employment Business/Agency specialising in Design and Creative recruitment on a UK wide basis.